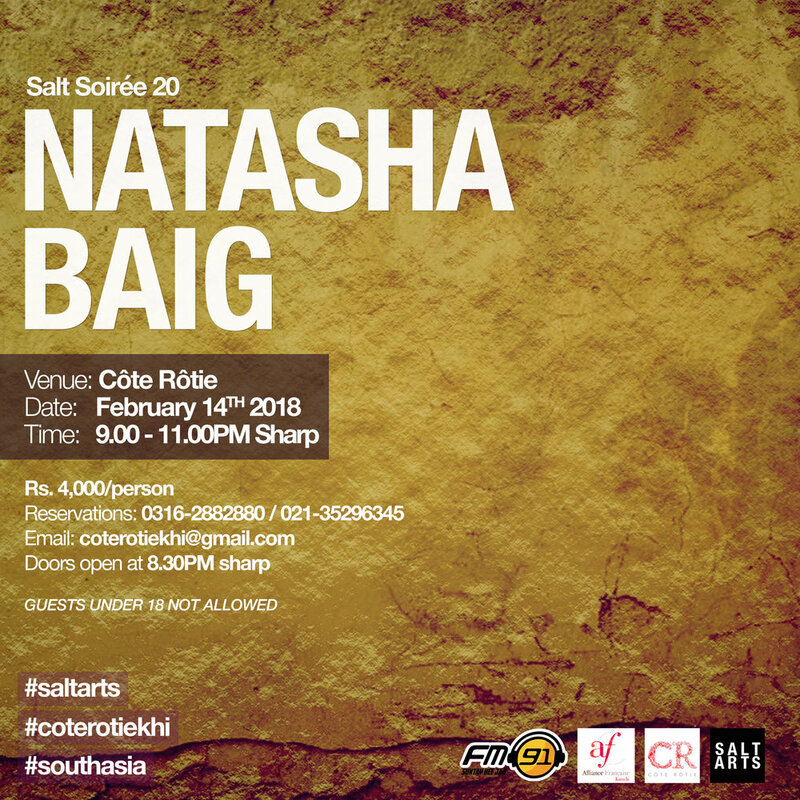 Salt Soirée is a series of curated live music showcases at Karachi's finest French Bistro, Côte Rôtie. The programming explores new musical genres and artists. We host a loyal audience of cultural enthusiasts, representing the most eclectic section of Karachi's multicultural community. 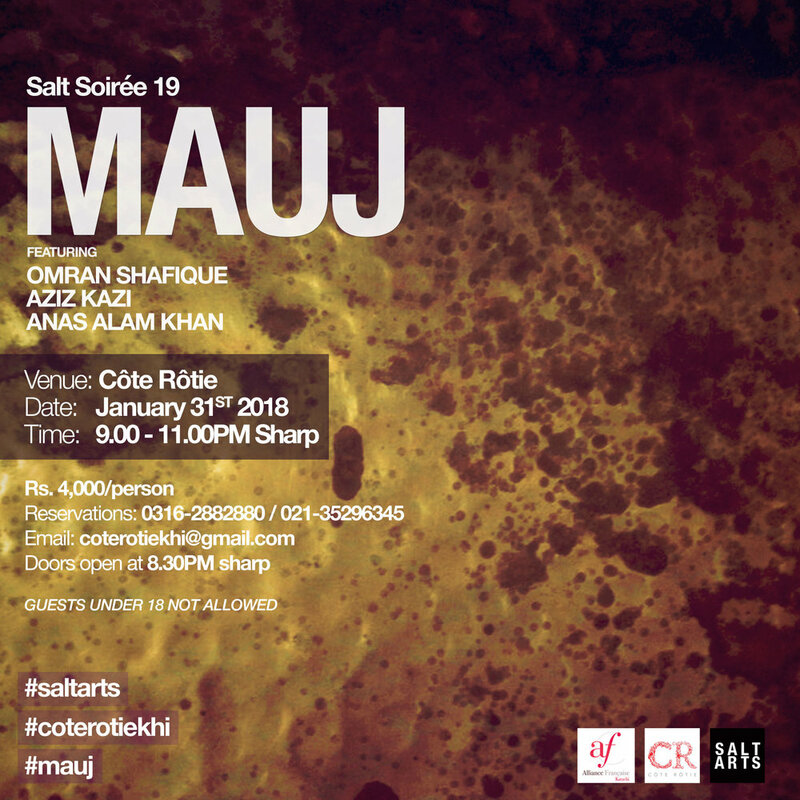 Mauj is a Pakistani funk-rock-reggae band ft. Omran Shafique, Anas Alam Khan and Aziz Kazi. The band was founded in 2001 in Houston, Texas by the lead singer and guitarist, Omran Shafique. Hailing from Hunza, Natasha Baig is now considered the first woman musician to enter the mainstream from the mountainous region. A sufi rock vocalist, she is known for her songs in the Marvari and Burushaski language. 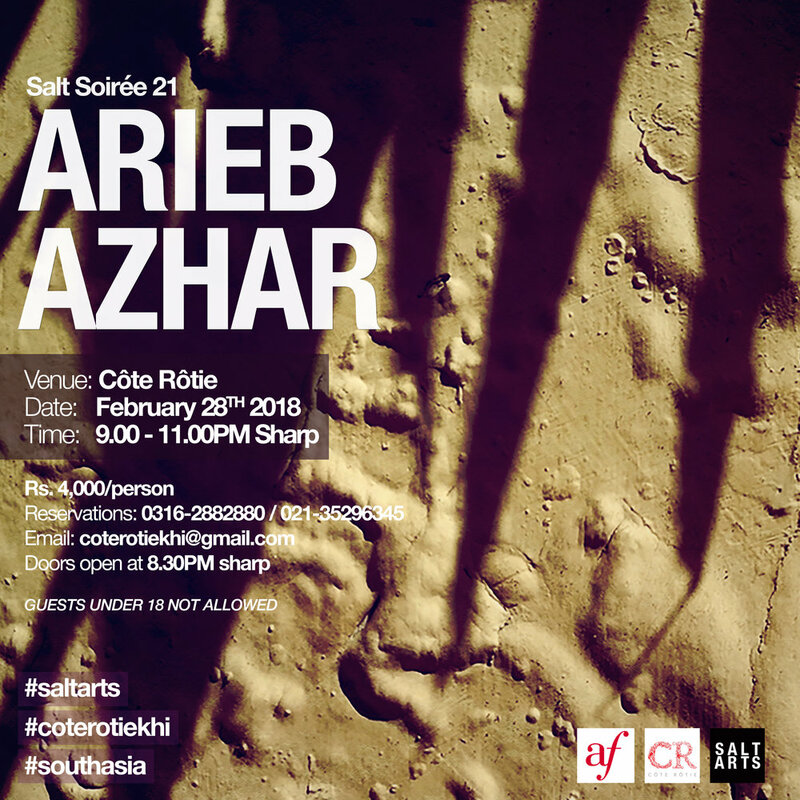 Arieb Azhar is a sufi and folk singer, best known for Husn-e-Haqiqi in Coke Studio. He is a multidimensional, world-inspired poetic artist and has performed in multiple languages with musicians from Pakistan, Croatia, Bosnia, Macedonia, Bolivia and Ireland. Alycia Dias is a vibrant and versatile artist with an infectious energy reflective of her years of singing in the church choir. 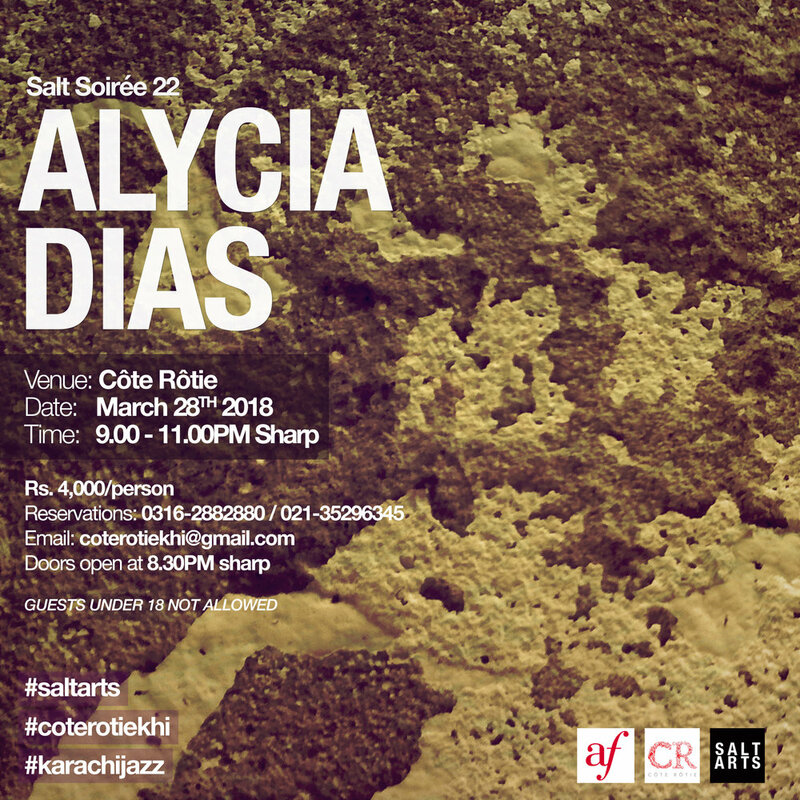 Citing Celine Dion as her ultimate inspiration, Alycia started her career as a playback singer for the original soundtracks of Pakistani television.